Use SMS text messaging to engage customer interest and generate sales for your business. Send campaign messages automatically with Timed Follow-Up feature from EquiiText™. With EquiiText™, you can easily funnel your sales pipeline for measurable success. ALINA, our artificial intelligence responder, automatically answers customer questions simply and conversationally. Personally reply to your customers to establish brand loyalty and promote engaging conversation. Let EquiiText™ keep track of your successes for you. Text messaging is the fastest and simplest way to reach customers anywhere and everywhere. They want to text your business—start the conversation today! Thanks to the combination of the EquiiText™ clever ALINA and effortless 2-way engagement, customers will never again feel ignored. Stand out from the competition with EquiiText™ and provide customers with a brand they can trust. Retain loyal customers by building a connection with them. Build unlimited contact lists, groups, keywords, and auto-replies. No Limits or per-contact fees! 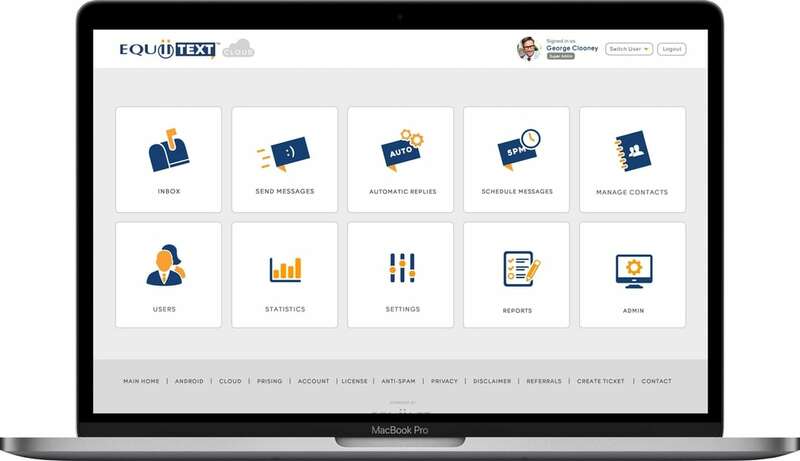 The EquiiText™ auto-reply system saves you time and money by automating customer service and responding to customer texts for you. *By submitting this form, you are agreeing to receive messages and/or phone calls from EquiiText regarding our products and services. Send ALINA a text to see just how natural our A.I. assistant sounds! and see how conversational she really is!